I'd love to win The Lightning Thief. Thanks for the giveaway! I'd pick "Sweet Venom"! Thanks so much for the chance! Either The Lost Hero or Starcrossed. Those Goddess Girls covers are adorable. I would probably pick Everneath. I would choose The Thief by Megan Whalen Turner. I would love to win Daughter of Smoke and Bone Book 1 and 2. Thanks for the chance! I'd pick Mark of Athena by Rick Riordan. Thanks for the giveaway! Sweet Venom from the list and Deity by Jennifer Armentrout that's not listed. Since I already have the Percy Jackson Series, I'd choose the The Lost Hero also by rick Riordan. That is such hard a question! Either Of Posidon or one of Rick Riordan's novels. I would probably pick Sweet Venom or Of Poseidon. I'd like to finish collecting Rick Riordan's books! I would love either Sweet Venom or Goddess Interrupted! I'd love the Goddess Legacy by Aimee Carter. I have always been interested in starting to read the Goddess Girls serise! So I guess I would want whichever book is the first. ;) Awesome giveaway! Maybe Sweet Venom or The Treasury of Greek Mythology. Wow! Sucha collection to choose from! I think I would go with The Goddess Test. I'd pick either the Goddess Test or the Mark of Athena. Thanks for the awesome choices! I'd like either The Goddess Test, Starcrossed or Abandon by Meg Cabot. I'd love of posiedon. Thanks for the giveaway! Wow, you have so many good choices, but I think I would either choose The Lightning Thief, The Red Pyramid, The Thief, or The Lost Hero. I would choose one of the Goddess Girl books. Thanks! Hi! Thanks for this giveaway! From this list: Of Poseidon, from personal list: Abandon by Meg Cabot! Thanks again! 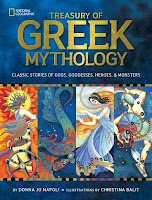 I think I would like either Of Poseidon or one of the Goddess Test books... it's a tough choice! I think I would choose The Goddess Test. I think I'd pick The Goddess Test. Thanks! 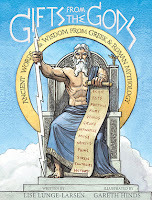 I'd love "The goddess test"
Thanks for the giveaway! I love the Attolia series, so I'd like A Conspiracy of Kings. would maybe pick Poseidon, not read it yet. I would pick either Of Poseidon or Sweet Venom. anything by Rick Riordan = just love him! I'm leaning toward Of Poseidon and Starcrossed. I would choose Mark of Athena or one of the Goddess Girls books! I would love Sweet Venom or Starcrossed. Thanks for the giveaway! I would love Dreamless thanks for the giveaway. I would pick The Mark of Athena! I would really really really love a copy of Valkyrie Rising by Ingrid Paulson. I think I would get Everneath,or The Goddess Test. Starcrossed, Dreamless or one of the books from the Covenant series. I am not sure what I would pick but I am leaning toward Sweet Venom, The Lightning Thief, or Of Poseidon. I would pick The Goddess Test. I would pick Goddess Interrupted or Sweet Venom! I would chose Starcrossed. Thanks for the giveaway! I would choose Half-Blood and Deity by Jennifer L. Armentrout. I would love Dreamless, please! Of Poseidon by Anna Banks and Half-Blood by Jennifer L. Armentrout. I'd pick Half-Blood by Jennifer L. Armentrout. I forgot to post the link to my tweet on the rafflecopter form. I'm super excited to read The Thief! 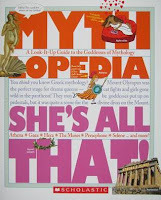 I would pick one ofthe goddess books, they always looked so cute! I would pick Of Poseidon! Would love to read Sweet Venom. I would like pegasus and the flame. Thanks! I'd love to win Dreamless. Thanks! I'd like Starcrossed :D thanks for the giveaway! So many cool choices - I would really like to read Dead Radiance. Hi Heidi! I would love The Throne of Fire by Rick Riordan! I'd pick Goddess Girls Medusa the Mean. Thanks for the giveaway! I'd pick the serpent's shadow!!! I would choose The Lost Hero or Mark of Athena, Thanks for the chance at this great giveaway!! I`d probably choose The Thief by Megan Whalen Turner. Looks like great series. Thank you for the giveaway, I´d choose Of Poseidon. I'd pick the Godess test. I would like Valkyrie Rising. Possibly "Sweet Venom" or a Riordan book, but I'm still deciding. 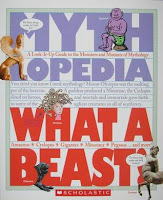 I'm tempted to get an MWT book, because I love Gen so much, but I already own them all! I'd like one of the Percy Jackson books. Oh my, it's a toss up between Rick Riordan's books or Megan Whalen Turner's. I'd pick the Goddess Test. A YA book :) I'm not sure which one yet. I would love so many of them!!! 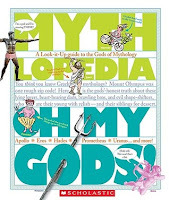 The Thief, Sweet Venom, Of Poseidon and The Goddess Test are at the top, I think! So hard to choose, maybe The Goddess Test. Of Poseidon or Sweet Venom! I'd love Of Poseidon! Thanks! I would love to read Mark of Athena! Thanks! I looked up Dead Radiance and I like the sound of it, also The Goddess Test looks pretty good. Thanks for the great giveaway and for making it international. I would love the first Percy Jackson book! Scorch and Fire probably. thanks for the giveaway! I would love a copy of EVERNEATH, GRAVE MERCY, ABANDON, or GODDESS INTERRUPTED. Thanks so much! I'd probably pick The Goddess Test. I would choose Sweet Venom or Mark of Athena. I'd pick the goddess test! I would choose The Goddess Test, thanks so much for the giveaway! The Goddess Test, Sweet Venom, or Starcrossed! Thanks for this amazing giveaway - I would love to win The Lightning Thief or The Lost Hero! 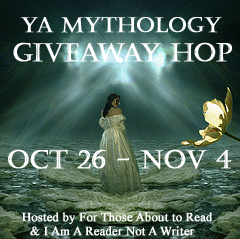 Thanks for the awesome giveaway, I think I would choose Touch of Frost by Jennifer Estep. I would choose Sweet Shadows. I loved Sweet Venom and have been dying to get the second book in the trilogy. I would like to get Sweet Shadow since I enjoyed Sweet Venom. I'd love to win The Goddess Test and Sweet Venom! Heroes in Training for my son! I think he'd LOVE it! I'd like to win Half-Blood by Jennifer L. Armentrout. Deity by Jennifer L Armentrout! I would LOVE Goddess Hunt/Legacy!! Thanks! I'd love The Raven Boys if that qualifies, but if not then The Goddess Test :) Thank you! Sweet Venom or Everneath. Thanks. 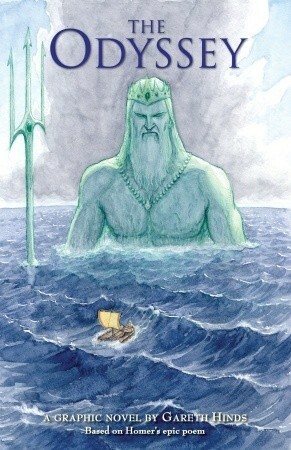 I would love Of Poseidon! Thank you for the giveaway! I would love Of Poseidon or Half-Blood by Jennifer L. Armentrout. I would love to get Valkyrie Rising. Thanks so much! I would love to receive a copy of Born Wicked by Jessica Spotswood! I think I'd choose Of Poseidon or Starcrossed, thanks! I would probably choose Half-Blood! Thanks for the great giveaway! I really want Touch of Death but it's a pre-order book...So if I can't get that then I'd pick Valkyrie Rising! Thank you for the awesome giveaway!